Get awesome Artist-series tone that celebrates 10 years of Blackstar. 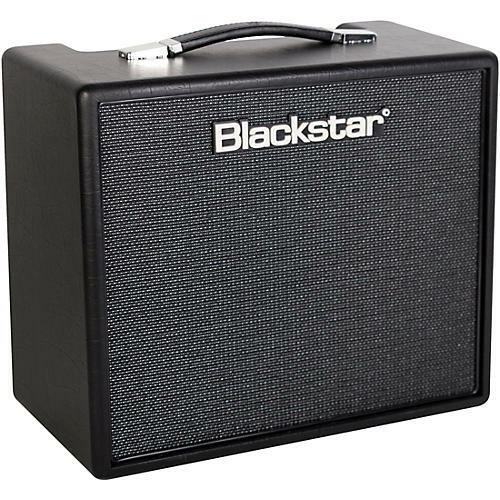 In celebration of 10 years of glorious Blackstar tone, three new 10W single ended valve amplifiers have been developed drawing on the sound and innovation of iconic Blackstar lines—Artisan, Artist and Series One. With a limited run of only 1,000 pieces of each model worldwide, and a certificate of authentication in each model, these amps are certain to be collector’s items in the future. The Artist 10 AE deploys a 6L6 output valve to give this amp a characteristically bright clean sound and a hot lead tone. The lead sounds are enhanced by a built-in overdrive circuit inspired by our HT-Drive pedal which will take you from dynamic crunch to singing, smooth legato.